Hi people, I hope all is well! I'm showing some nice, new goodies! 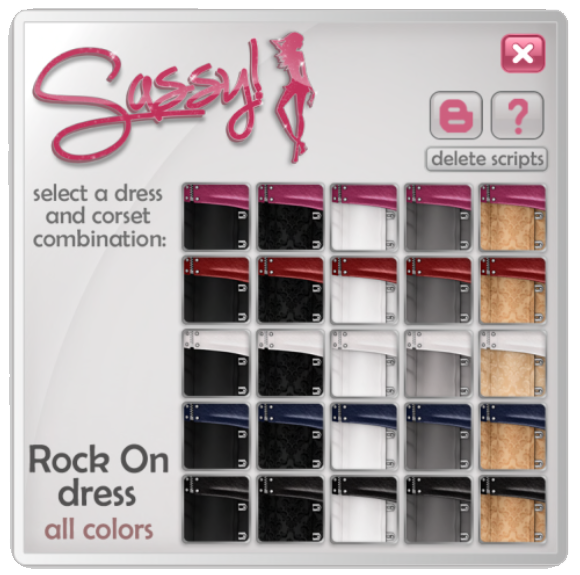 I'll begin with the new "Rock On" dress for The Singer Icon Fair 2 which is running until Nov 30th! I hate knowing I already blogged this dress 8 months ago. Also new and awesome from << (red)Mint >> are the "Posture V-Collar" which I will be doing an exclusive blog for at a later time. From . :pink - insidious:., the "Sinful" shape can be found at . ::Designer Circle::. for a limited time!